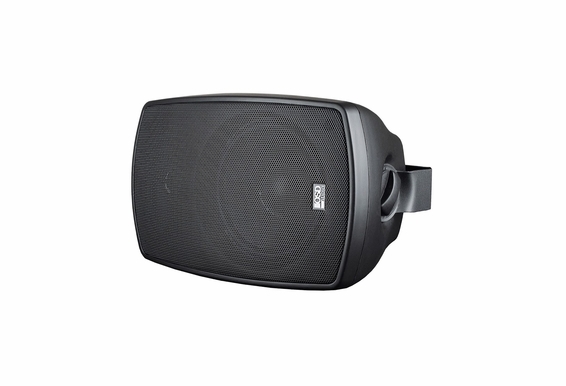 OSD Audio AP525 Outdoor Patio Speakers are extremely popular, made of Composite Resin Low Resonator Cabinet, they're a great value because they provide remarkable sound. 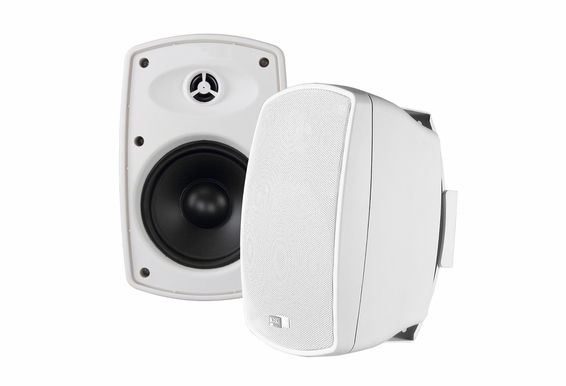 These speakers have a clean, modern look, so they make a great addition to mid-sized decks and patios. 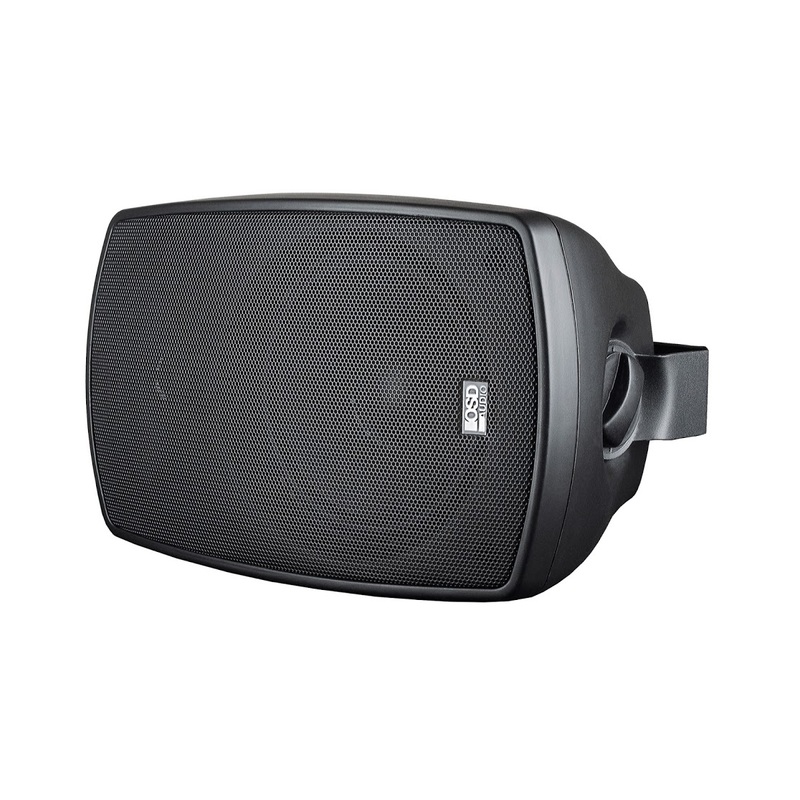 With 75 watts of power, a built-in sound port for excellent bass and a weather-resistant design, the AP525 gives you great sound without the price tag of other brands. 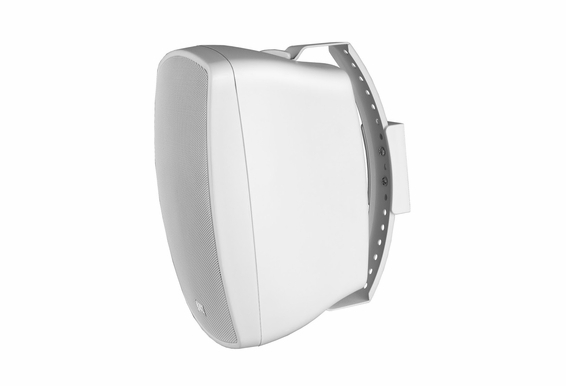 They're available in black and white, and if you'd like, you can get the 70-volt switchable version. 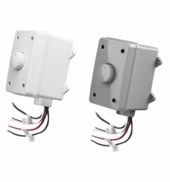 The 70-volt switchable models lets installers switch to the right wattage tap without soldering, tapping or disassembly (you usually don't need this feature for typical home installations). A great alternative to higher priced JBL, Polk or Bose speakers. What do you mean by 70V switchable? 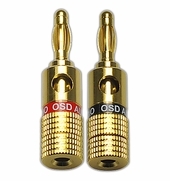 Some speakers, like the AP525s, are equipped with an "on the fly" 70v switch assembly. This allows an installer to rapidly switch to the correct 70v wattage tap each installation may require without soldering, tapping or disassembly and reassembly, which normally complicates installations. You usually don't need use this feature for your typical home application. What gauge speaker wire should I use? For runs up to 80ft, standard 16-2 wire will be fine for this speaker. For runs, 100-150 ft 14 gauge. Beyond 150ft, we recommend a 12 gauge speaker cable. 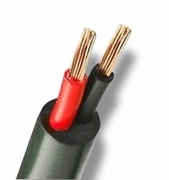 We also offer a four conductor 16 and 14 gauge wire to add an in-line volume control to your outdoor location. Are there any special precautions I should take to protect my outside speakers in winter? Not necessarily, however, if you live in an area prone to extreme weather such as sub-zero temperatures, you may want to cover the speakers with a plastic bag or bring them inside to help prevent components from absolute freezing during the long winter months. Looking to buy the AP525 outdoor speakers but confused on its power handling compared to AP490. The 525's state they are rated at 75 watts. 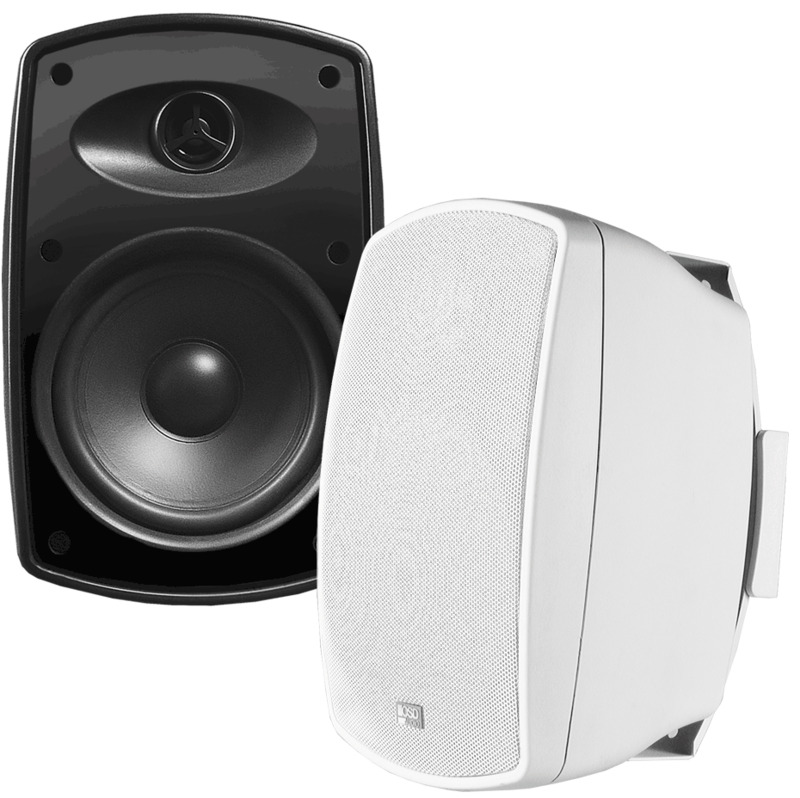 The 490's with smaller woofer is rated at 100 watts. 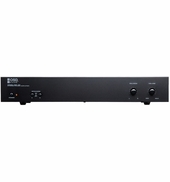 Can someone explain why the difference, are the 490's better with higher powered amps? I see these are rated 75 Watts. Our receiver is 200 Watts, 100 Watts per channel, so Iâ€™m guessing these arenâ€™t powerful enough. Hello. I am looking for outdoor speakers to go along with my Sunbrite 55" Veranda tv. Not exactly sure what all I need to increase the volume of the tv. TV is under a 30' x 12' covered patio with a swimming pool just off the patio. Not looking to rock the neighborhood, just enough power to hear the tv from about 30-40 feet away. Would the AP525 speakers work and do I need an amplifier? Hello, Can you clarify the warranty on these and the AP650's? The bulleted specs on the site say 1-year warranty, but in the Other Product Info section, it says "A great alternative to higher priced JBL, Polk or Bose speakers. 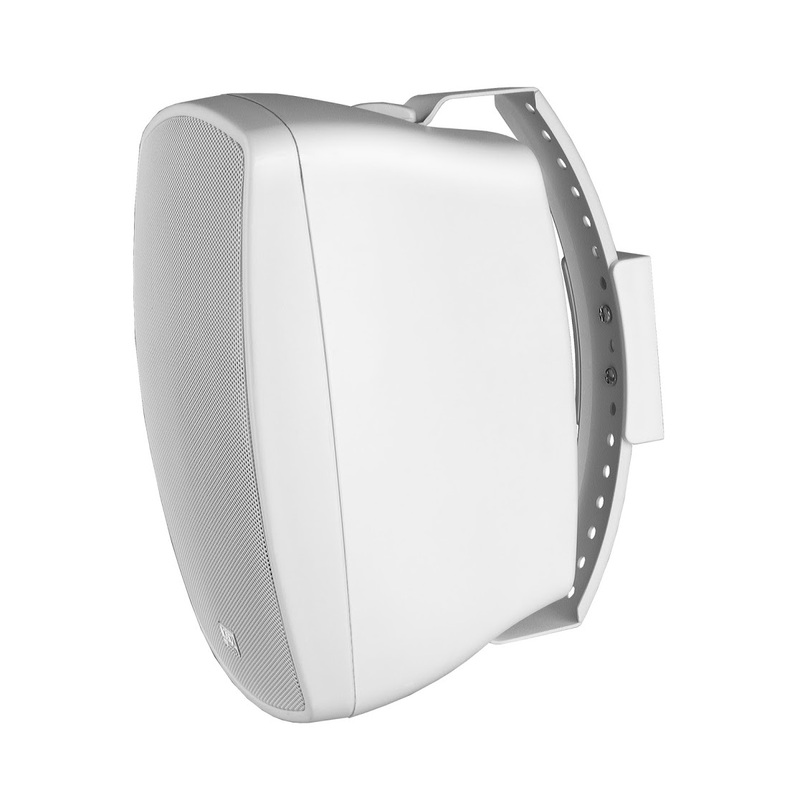 It has the same performance with a 5yr warranty." is it possible to connect banana plugs to these speakers? Having recently bought, the back only seems configured for wire insert. What are the size of the speaker ? will these work with sonus? Or what would I need to make them work? 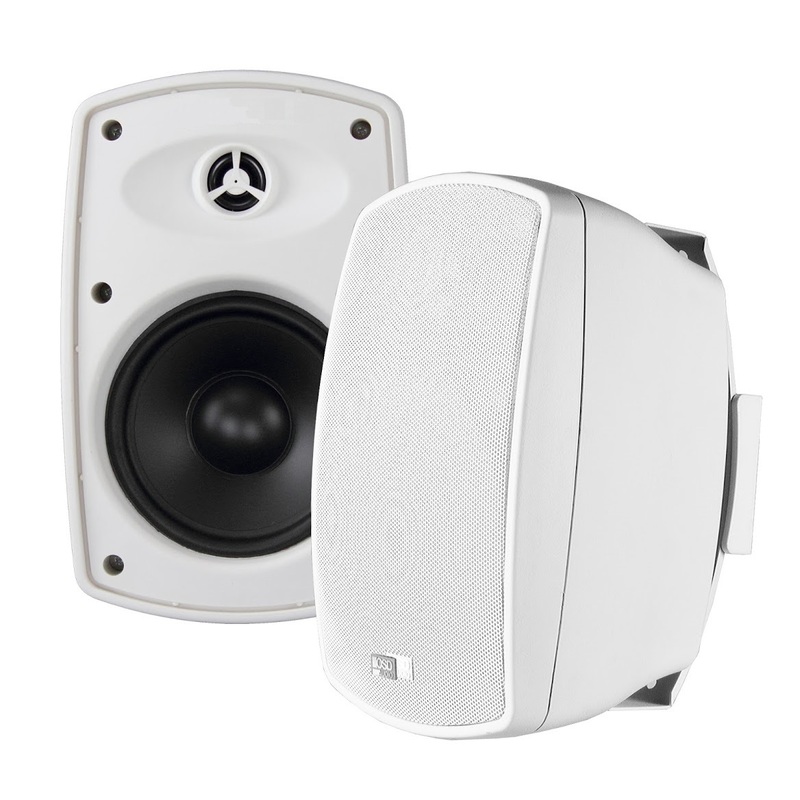 Are you able to use the AP525 speakers with optional 70v on your home stereo that supplies enough watts, or do you need a 70v amp to power them? Hi Carl: You need a 70V Amplifier to take advantage of the 70V taps on the AP525. Otherwise you use the 8 ohm setting on the AP525. The big advantage of the 70V system is the fact you can run multiple speakers without worrying about the impedance of the speakers that the amplifier has to deal with. 70V is high impedance which relies more on how much wattage you have available. Then you calculate how many speakers and what the 70V tap setting will be for each. That sum total needs less than 80% of the available wattage from your 70V amplifier. This especially helpful on projects where you need to have lots of speakers connected all together. The trade off is Frequency Response and overall sound quality is not as good. Ideal for background music or announcements (where a Microphone might be involved). We do not have an option to protect these under eves, so these would have to be out in the elements. We have tried Yamaha, JBL speakers, and the brackets and grills become rusty over time and are getting chalky from the sun. We get intense sun everyday, and some heavy rain storms. My concern is will the cabinet get yellowed and chalky? And is the hardware able to withstand the elements without getting rusty? We have a rather large patio and garden area that we would like to play music to 50' - 100' or farther. The speakers would be out in the Midwest weather, summer and winter. Is this speaker the most economical choice? How does this one compare to your AP450 for my purpose? Can these speaker be mounted horizontally? If so, Woofer out or in? I am looking of speakers than I can add a bluetooth adaptor to. Would these be compatible with that? And if they are the adaptor would be plugged into the same place as an amplifier so how well would these speakers work without being connected to an amp? Hi Steve, This allows you to use the speaker with a 70v commercial system. I want to go with a pair of these with the SUB200 in the Sub-Sat configuration but I am not sure what size amp to use. Any suggestions? Can I brige the amp in this configuration to get the most power? Deck is 14' X 17' with pergola top. Would the AP670 sound better than the 525's with this deck area? I just bought 2 pairs of these speakers, I will be using the Pioneer VSX D557 receiver to power all 4 speakers. Do I connect the speakers to the connection labeled front A and B, or Front A and Rear Right, Rear Left? I am trying to decide between the AP525 and AP650 for my screened in porch. The porch is about 20x20 (400 sq feet) and the speakers will be mounted on the outside edge of the porch facing inwards towards the house walls. The porch has a couch about 12-15 ft from the speakers. I am thinking these for the screened in porch and AP650 for the outside and open deck (a bigger space that also has a patio on the end). Both sets of speakers to have OVC300 Volume controls and all powered via the AMP200 (about 80ft run to speakers). Ideas? Recommendations? I am looking at buying these for my covered patio. What volume controller would you recommend to use with these - the 100W or 300W? I can't remember what my Sony receiver puts out, is it bad to upsize to the 300W when my receiver is only pushing out lets say 50W each? Thanks for you help! I'm planning to install one speaker inside a screen porch and the other outside on the side of my house (vinyl siding) for my deck that will be exposed to Minnesota elements. Should I not go with the AP525 since it's ported and get the AP520's? Or what's the best speaker for my situation? 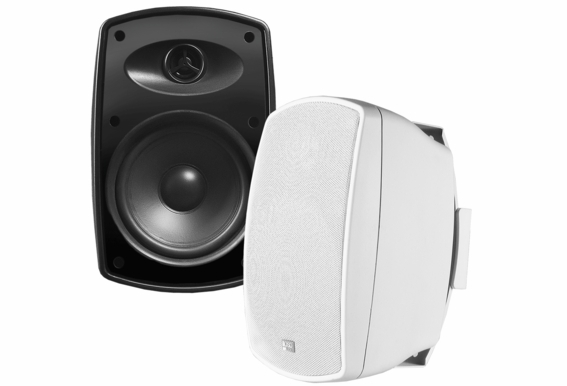 How do I compare the AP525 and AP520 speakers? My area is under of the roof of an open porch in coastal New England. I'm powering the porch and small yard, and am replacing 5.25" speakers which have aged with time. What are the advantages/disadvantages of these two models, please? Would AP525 speakers work well for a ski boat? I'm considering because they can be moved about the boat and hung on the windshield while docked or beached (these would be wired as the rear pair with a fixed pair of Sony 5" x 4ohm speakers wired as front along with an Infinity self powered sub-woofer connected to line level jacks). The receiver/amp is a Jensen JMS2212 with specs as follows: Operating Voltage . . . . . . . . . . . . . . . . . . . . . . . . . . . . . . . . . . . . . . . . . . . . . . . . DC 12 Volts Grounding System . . . . . . . . . . . . . . . . . . . . . . . . . . . . . . . . . . . . . . . . . . . Negative Ground Speaker Impedance . . . . . . . . . . . . . . . . . . . . . . . . . . . . . . . . . . . . . . 4-8 ohms per channel Tone Controls: Bass (at 100 Hz) . . . . . . . . . . . . . . . . . . . . . . . . . . . . . . . . . . . . . . . . . . . . . . . . . : ±10 dB Treble (at 10 kHz). . . . . . . . . . . . . . . . . . . . . . . . . . . . . . . . . . . . . . . . . . . . . . . . . : ±10 dB Power Output . . . . . . . . . . . . . . . . . . . . . . . . . . . . . . . . . . . . . . . . . . . . . . . . . . . . . . 50W x 4 Current Drain. . . . . . . . . . . . . . . . . . . . . . . . . . . . . . . . . . . . . . . . . . . . . . . .15 Ampere (max.) Also, could these Sony 5" speakers be swapped for a pair of your ceiling speakers or some other OSD product? Can the swivel bracket me mounted on the ceiling and if so, can the bracket be tightened where it attaches to the speaker to keep the speaker in position once mounted? I understand that the sender must be plugged in to an a/c outlet. What are the requirements of the outdoor speakers as to wireing or power? The web description says they're weatherproof but the instructions in the box says they're not waterproof so hide them from the weather under the eaves?! I have attached them to an outside wall exposed to the rain - is the weather going to damage them? If so the online description is misleading. Whats the proper speaker wire? 16 gauge 24 gauge ? Russell, For runs up to 100ft you can use the standard 16-2 for this speaker. 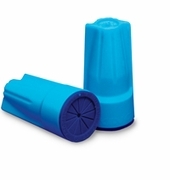 100-150 ft you should use a 14 gauge, after 150ft I would recommend a 12 gauge speaker cable CL We also offer a four conductor 16 and 14 gauge if you were to add an in-line volume control to your outdoor location. The four conductor would be from the Amplifier/Receiver to the Volume control then the 2 conductor to the indivdual speaker. The length to gauge ratio will be the same.